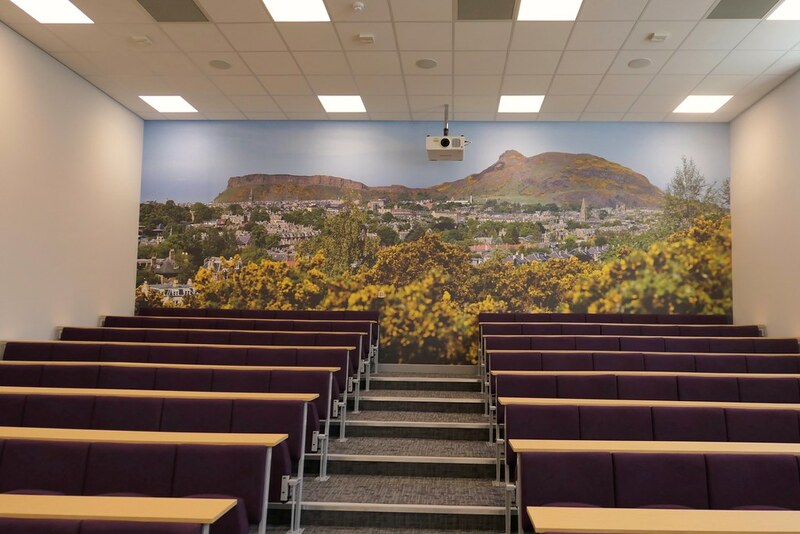 In the spring of 2018, I was asked to produce a large 8.6mx3.6m panorama for the lecture theatre in the Grant Institute, School of GeoSciences, University of Edinburgh. 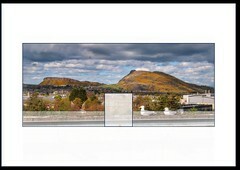 This was my second commission by the School of GeoSciences after the panorama project for the ADRC. The size and aspect ratio of the panorama meant I needed to shoot a multirow panorama (see also the panorama tech page). 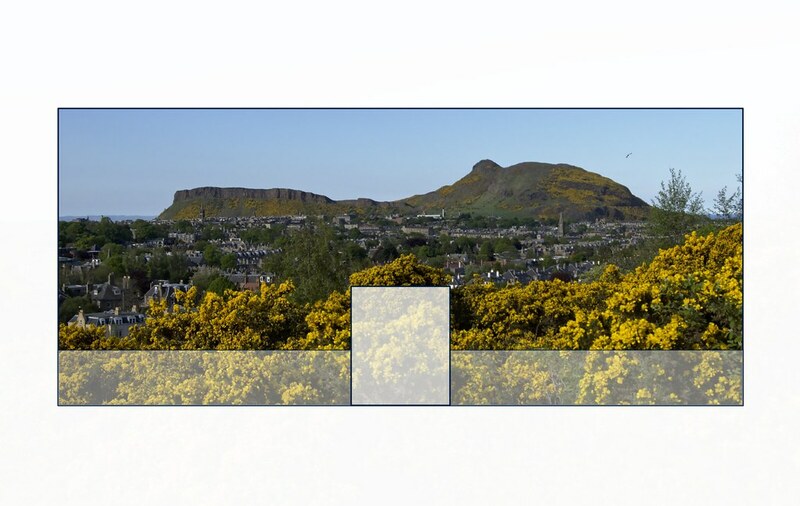 We decided to go for a picture of Arthur's Seat and the Salisbury Crags. 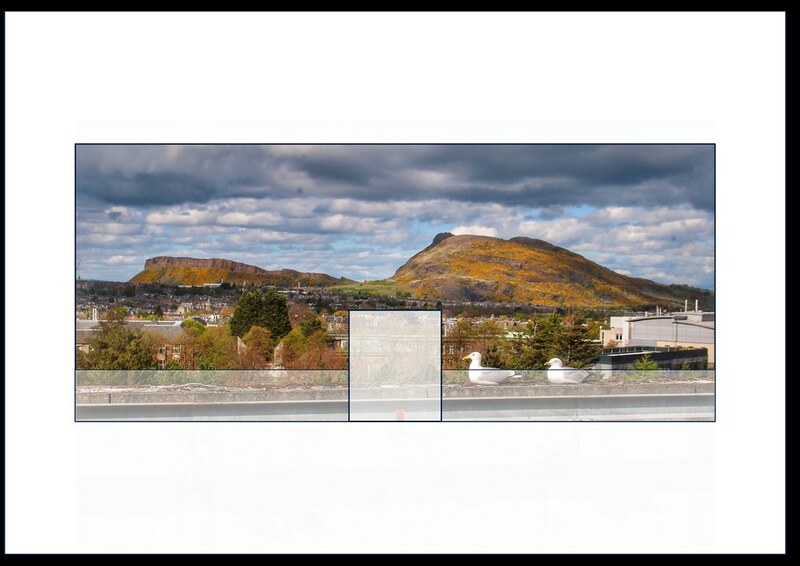 It is an impressive view and has an obvious link with the School of GeoSciences. The timing was also good as the broom was in full bloom. 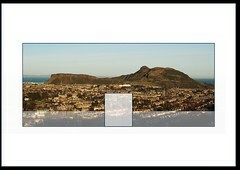 I tried a number of views from Blackford Hill, taking into account a niche for a radiator which was removed in the end. After the view was agreed on I had to wait for a clear day without the haar which took quite a while. 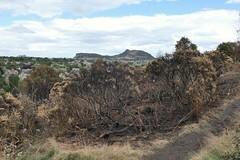 Then, the broom burned on Arthur's Seat. 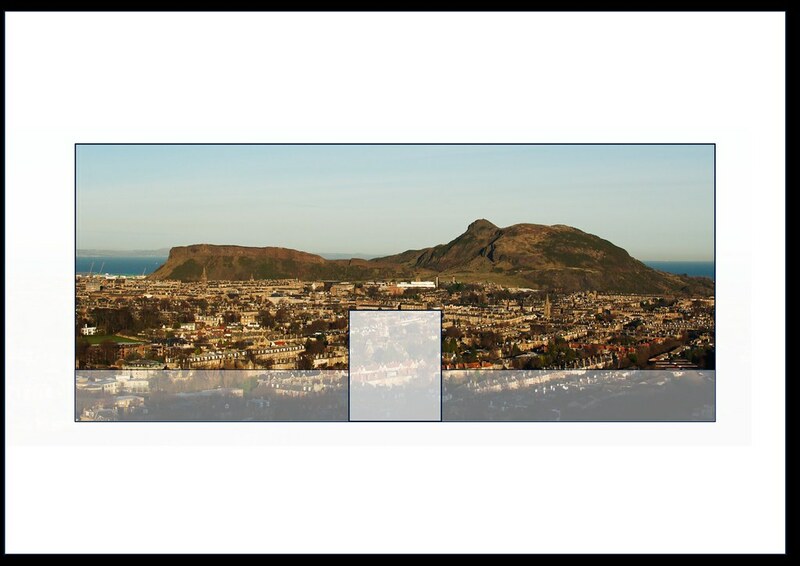 The haar cleared and the weather got nice and sunny and I took the chance to take the panorama shots. In the end I took over 70 frames in four rows to make a 30528x13231 pixel panorama. The sunshine proved to be problematic as well as the heat shimmered which you can see when you look closely at the buildings in the distance, especially the Commonwealth Pool. 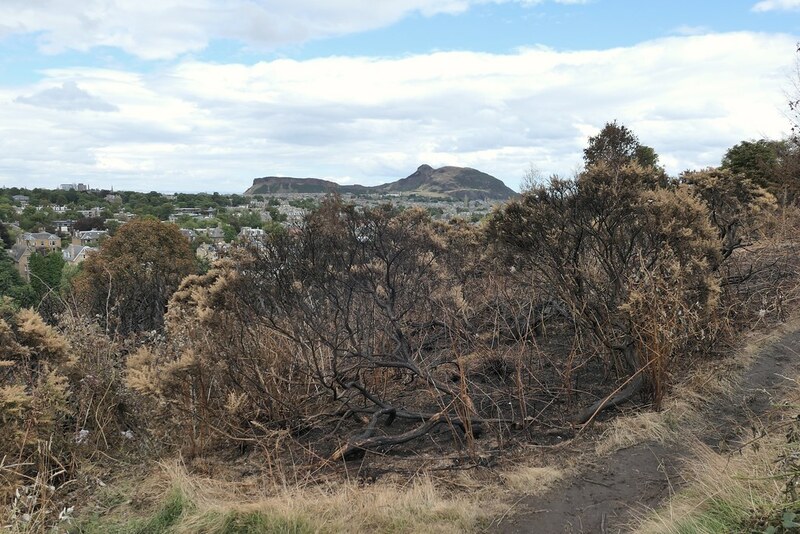 At the end of July, 2018, Blackford Hill burned as well and left quite a desolate landscape. 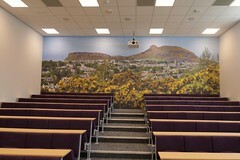 I just managed to get the view I had in mind for the Grant Institue lecture theatre.